If you want to make a system less rooting on your device, here you are on the accurate page. Magisk Manager is an app that manages the system less rooting through Magisk. 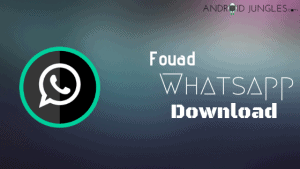 With it, you can unroot your device as well and also make any modifications in your system. So if you want to know how to have your hands on this very useful app, keep reading further. Magisk Manager is, in my opinion, is the best of all the root apps available over the internet to gain access on your Android device. Magisk is an Android utility that grants you a system less on your Android device and is managed with an application called Magisk Manager. Magisk Manager is an app similar to SuperSU which is pre-installed on your Device after you have rooted your device. So basically, this app serves the purpose of unrooting your device and then rooting it with the help flashing Magisk-v16.zip and all seamlessly, i.e. seamless rooting. Also, you can make use of this app for the system less rooting on your device. Magisk Manager, apart from not adding any additional files to your system, has a following of some major features which I would like to throw some light on. You do not need to search on the internet for the ways to uninstall Magisk from your device. The option for the same is available on the app itself. There appears to be a downloads section maintaining all your records. You, with the help of Magisk, can make any changes in your system prop-files, including read files only. You can make changes in the build of your system. With this very great feature from Magisk, you can actually hide the root from the games or apps such as Android pay, Pokemon GO, banking applications, etc. Not only this, but you can also cover up the root permissions from the application. It is an open source root solution based phone’s SuperUser which is in turn based on CM Superuser. Magisk is easy to build and develop for and there is no limit to the functionalities that can add as it has a large developer and fan base as well. If you wish to grant or deny the permission of any application, you can surely do that with MagiskSU. However, this option is worth the use only for Rooted Android devices. It comes with Resetprop which allows you to make any modifications to system properties, including read-only props. You can make any changes, any modifications in your system. And all this without even any effects on your device partitions. In this application, there are different modules same as Xposed Framework you can install the modules on your device. Here is a simplified yet clear process for how to install Magisk Manager on your Android device. Step 2. Now place the zip file in the internal storage of your device and do remember the location where you have saved the file. Step 3. Now reboot your device into recovery and also ensure that you have a custom recovery such as TWRP is installed on your Phone. Step 4. In the TWRP Recovery, click on the install button. Then move Magisk V16.0 from your internal storage to SD Card. Step 5. Now, install the .zip file on your device and wait until it is getting installed on your device. Once it is done, you are successful at flashing Magisk V16.0 on your device. Step 6. Now Reboot your device. Then check if it works on your device. Step 7. 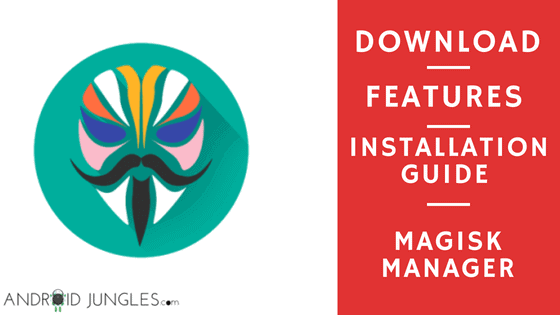 Now download the Magisk Manager Application from the link given above and install the application as per the given procedure. Step 8. Now open the app and you will see it’s Installed! Magisk Manager is an app that does not make any difference in your system files. It will modify the boot.img to magisk.img. However, it will not add any files to your system. Contrary to this, when you root your device with the help of SuperSU, it does automatically make changes in the System files and also does add some files in the system partition. No Financial application or no OTA updates will be received by you when you install SuperSU. Ability to Use Android Pay, Financial or Banking Applications. Ability to use Snapchat without any drawbacks. You can bypass the SafetyNet. Installing OTA Updates on your device becomes possible. You can actually play Pokemon GO on your Rooted Android device. You can install System-less Xposed Framework on your Lollipop and marshmallow devices. Magisk does not support Multi-user. It cannot be placed on adaptive storage or else superuser won’t work. It does not work on Android O Preview. In my final opinion, I would like you guys to give this app a shot if you really wish to have a system less what you can call seamless rooting of your Android device. 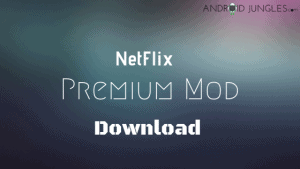 As much I have made use of this app, I found it very much easy and useful throughout the rooting process and even for unrooting my device at the time of update. So, if you are looking for one such experience as well, do not think twice about this and go further! So, Guys, this was all about downloading and installing Magisk and some of the highlights related to it. hope you all found the article useful. For more such updates, make sure you Subscribe to our Newsletter. Also, if you come across any obstacles in downloading this app, feel free to ask us in the comment section below.